Hi there! Here’s everything interesting in African technology today. If you’re reading this, you’re probably not subscribed to TechCabal’s daily digest. Click here to get this goodness in your mailbox every day at 7am (GMT +1). 1. 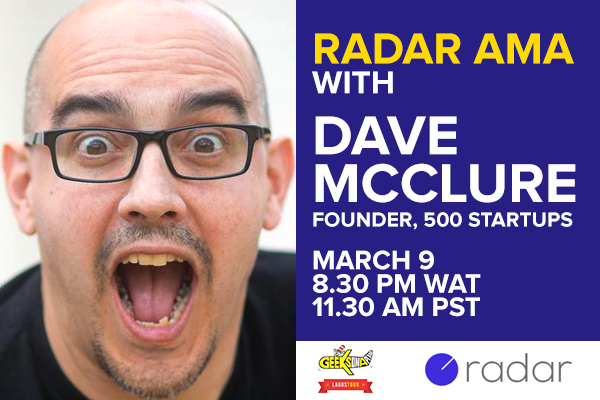 Radar AMA with Dave McClure on Thursday. Dave is the founder and managing partner of 500 Startups. Mark your calendars. 2. You aren’t going scot-free. That’s what the governor of Kaduna State in Nigeria, Nasir El Rufai said last week at Social Media Week on the subject of Audu Maikori’s arrest. Mostly known for when he used to head up the Chocolate City music label, Audu is a Nigerian Twitter overlord/bigwig/whatever-they-are-called-in-your-country, and is currently out on bail after he was arrested for publishing fake news on Twitter about killings in Southern Kaduna. The whole thing itself is a bit of a mess and would take too long to explain in here (this will have to do till someone writes a think piece), but El Rufai, who is himself a Twitter overlord/you-know-the-drill said at last week’s Social Media Week event that Audu will certainly be prosecuted. Serious stuff. + On the other hand, being a Twitter overlord/bigwig/whatever is still great for cutting past xenophobic border control (Omojuwa is my guy oh, abeg). 3. Take over MTN? There’s talk of that in investment banking circles. Its Nigeria “situation” is making it a target. 4. GTBank is not afraid of the fintechs. Because they have set up their own in-house fintech team. I didn’t make that up. In any event, I can’t help wondering if it’s said in-house team that came up with the brilliant idea that their internet banking portal begin suggesting that you should send money to your transfer beneficiaries on their birthdays. + I am not throwing shades, please. 7. The internet shutdown in Anglophone Cameroon still persists.#BringBackOurInternet. Entrepreneurs are invited to apply to Ventures Platform‘s (VP) accelerator program.. It’s a 4-month program that’s designed to support startups at the MVP stage with mentorship, business re-engineering, workspace, living space, back office support, shared services and seed funding. Deadline’s March 11. Link. 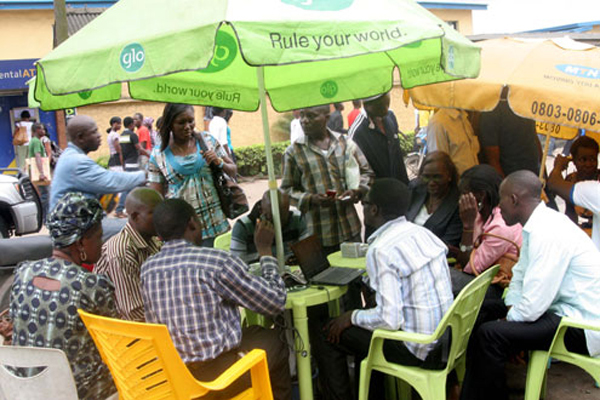 + “Social media is making you guys lazy”, says the man Nigeria employed to crunch its numbers. If you really want to get at data, don’t wait for Twitter links, go to their bloody website and download it. Okay, sah. + Nigeria’s largest power distribution network announced that starting today, scheduled maintenance will cause disruption of services to its customers in specified parts of Lagos. It seems redundant (just look at those clapbacks), considering that not having “light” is kinda normal in Nigeria, but could this recent acquisition of good manners be a symptom of things actually getting better? Just thinking aloud. Non-Nigerians, it’s totally okay to not understand what’s going on here. + I am super aware of how super Nigerian today’s digest is. Here is some non-Nigerian news. Our son, Elon Musk promised Zedd a hat. Have a great week ahead. And take a minute to send this to your friends?